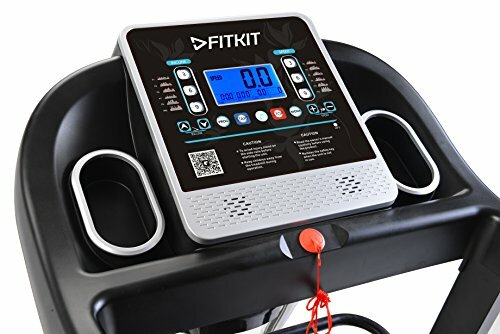 Fitkit FT063 7 in 1 Auto Incline Motorized Multi Functional Treadmill Price, Description, Images, and Video. 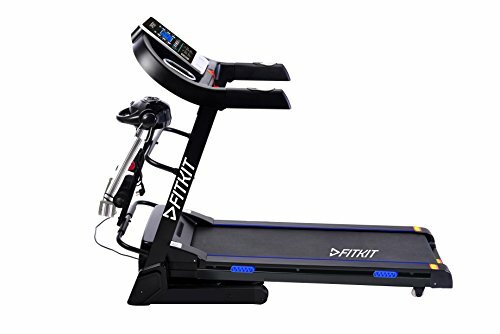 Fitkit FT063 7 in 1 Auto Incline Motorized Multi Functional Treadmill serves the deadly combination of good looks and functionality. 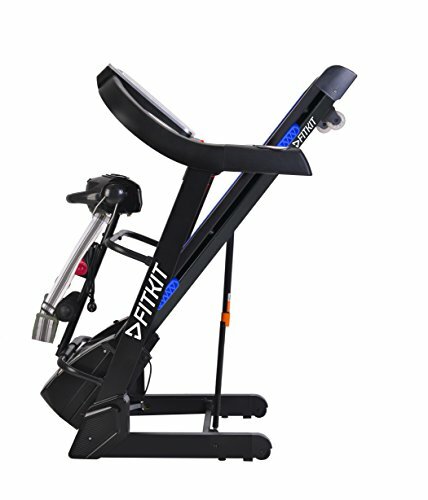 The treadmill is an example of durability and strength as it is equipped with stable steel frames. A cast iron pulley provides smooth running motion. Usb for exercise records- keep track of your exercise data. Insert USB drive into the built-in port on your console, and your results are automatically saved every 20 seconds. When your program is over, re-insert the drive into your personal computer to upload minutes, calories, heart rate, distance, and step count data. Set your own personal training plan and record your running history. 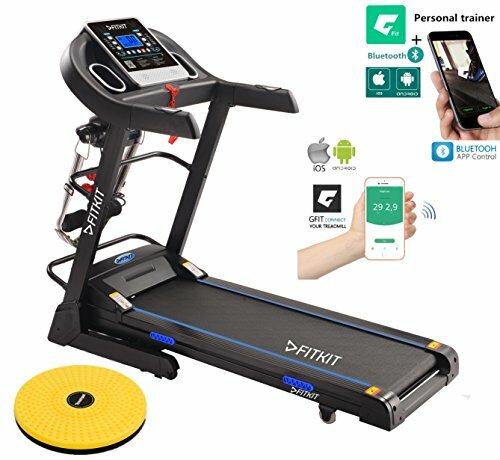 How to use app control smartphone/tablet Bluetooth wireless connectivity for your treadmill. Highest quality motor – 2. 0Hp motor carries your workouts all the way from the first stride to the home stretch, year after year. 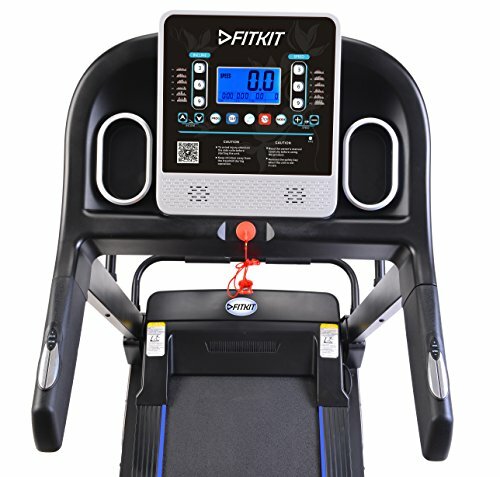 Bluetooth wireless connectivity for your treadmill. Download g-fit on your mobile (available on Android and iOS).